This movie is the sequel to M.A Tazi’s Searching for My Wife’s husband. The main character Al Hajj goes looking for his wife’s husband to get the marriage annulled and take her back. Unfortunately while trying to immigrate illegally into Belgium he is thrown into prison. His first wife Lalla Hobby takes over the household and the affairs of the business in his absence. And his family then tries to find him and bring him home. Carter, Sandra Galye. 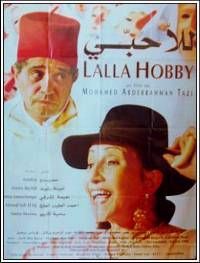 What Moroccan Cinema? : A Historical and Critical Study, 1956-2006. Lanham: Lexington, 2009. Print.